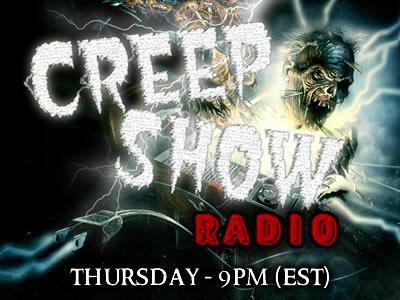 If you liked this show, you should follow Creep Show Radio. Join us as we interview independent filmmaker Justin McConnell as well as discuss our favorite underrated horror icons! We'll also be reviewing the upcoming horror film THE COLLAPSED and the Civil War zombie epic from The Asylum ABRAHAM LINCOLN VS. ZOMBIES!